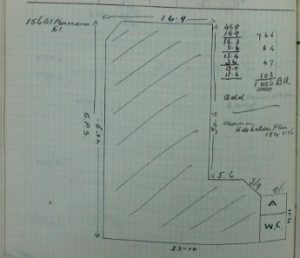 In 1910 the British government decided to carry out a detailed survey and valuation of every building in the country. It was an enormous task and involved hundreds of surveyors up and down the land. 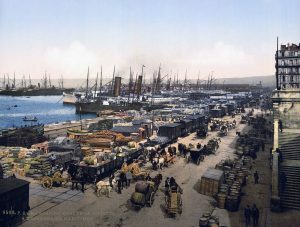 The records of the survey can be inspected at the National Archives, which means that they are available to researchers, historians and anyone wishing to find out more about the places where their ancestors lived more than a century ago. 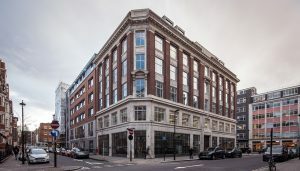 I used these records to find out more about the large business premises occupied by Charles Wells (the man who broke the bank) at 152-156 Great Portland Street, London. Each building or plot of land was assigned a reference number, and these were marked on a large-scale map. 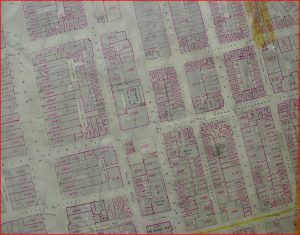 It is necessary to consult these maps first in order to find the district and reference number, before locating the detailed survey of any individual property. (Crown copyright). More from the photo album … These pictures were taken on my 2014 visit to France as part of the background research for The Man who Broke the Bank at Monte Carlo. 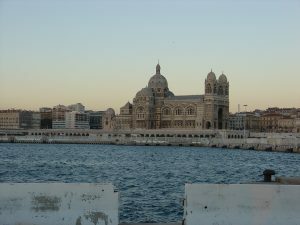 Bank-breaker Charles Wells lived in Marseille from about 1850 (when he was 9 or 10) until around 1879. 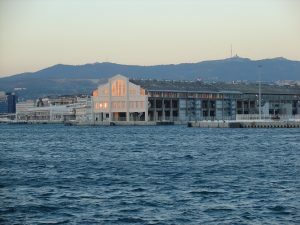 The La Joliette docks, Marseille, where Charles Deville Wells worked as an engineer in the 1860s-70s … before he broke the bank at Monte Carlo. 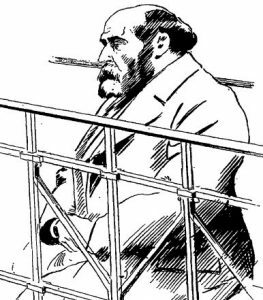 In April 1893, Charles Deville Wells – the man who broke the bank at Monte Carlo – was the subject of a court hearing. He claimed to be working on a variety of inventions, and promised fabulous rewards to people prepared to finance them. The only problem was that, in almost every case, he failed to complete the patent application process and simply pocketed their money. At length, various people who had been defrauded by him brought claims against him. The press published their names, and the amounts he was alleged to owe each one of them. This clipping from an Irish journal was found on the website of the British Newspaper Archive. When researching The Man who Broke the Bank at Monte Carlo, I was intrigued by this list. But I realised that a bare list of names is of little interest to readers: to make the story come to life I would need to provide at least some background details about the victims. I knew several research tools that could be employed. Readers and family history enthusiasts might be interested to read something of the processes that I used. Catherine Phillimore and William Cosby Trench – the two victims who lost by far the greatest amount of money – were from wealthy, aristocratic families and were thus very easy to research. Stories of their involvement with Charles Wells are set out in some considerable detail in the book. I did not bother to research Mr Allen (for whom we have no first name or any further details whatsoever). And I knew that Frank Green would be too commonplace a name for a positive match to be made. 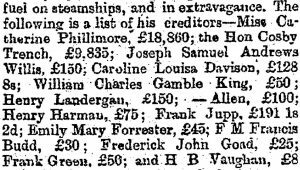 I already knew that Frank Jupp had supplied uniforms for the crew of Wells’ luxury yacht, and that Henry Vaughan had been a clerk employed by Wells. And “F M Francis Budd” was something of a mystery person, as discussed in an earlier blog post. I finally chose Frederick John Goad as an example, as in his case I could use a mixture of everyday resources plus a few less usual ones. The surname Goad is quite uncommon: in 1881 only 606 people in England and Wales had that surname. And luckily we have both of his forenames, which narrows the search down considerably. (You can find out a great deal about British surnames, their relative frequency, and the parts of the country where they may most commonly be found, here). I began by looking through my own research, which included a list of all the patents applied for by Charles Wells. Some of these were applied for jointly with other persons, and I quickly discovered an application from ‘Wells, C. and Goad, F.J.’ in respect of ‘incandescent electric lights’ dated 26 March 1887. It seems that Wells had persuaded Goad to buy a share of a patent for £25 (equivalent to about £2,500 today) and Goad now wanted his money back, six years having passed since the transaction. Like most of Wells’ backers, Goad had not received a penny of the fabulous profits that Wells had promised. (UK Patent information is available at The Intellectual Property Office. Incidentally, I found that the staff were particularly helpful and customer-friendly. A small fee may be charged for copies of the patent applications themselves). Neither of the two deceased men above was born prior to civil registration in 1837, so that is no longer an issue. The age given for the first is a good match for the twenty-two-year-old of 1893, and it now seems very likely that this is the man we are looking for. 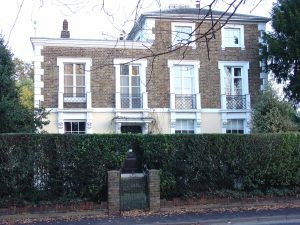 There is a question mark, however, over the place of his death – Portsmouth – since his birth was in the London Area, and I’ll return to this later. (Incidentally, it is while I was searching the Probate records that I looked up the other Frederick J. Goad—the one who died in 1943. This person’s middle name was in fact James—not John—thus ruling him out completely). Mr Goad doubtless features in other records, but – as this piece shows – a combination of different sources can tell us quite a lot about a person, and can transform a simple name into an individual’s mini-history. 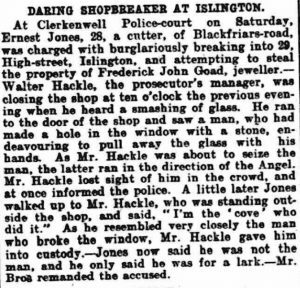 On a final note, Goad figures in this rather amusing report from the Daily News of 16 June 1902 (British Newspaper Archive).